Fast-forward 34 years and after several re-issues of its original form, the ZX500 returns with the addition of a new BOOST midsole and updated upper complete with fused stripes and re-engineered mesh underlays. Encased within the BOOST sit several layers of density foam, designed to give you the most comfortable wear possible, and created to emphasise the update in technologies since the original model. Returning as a size? 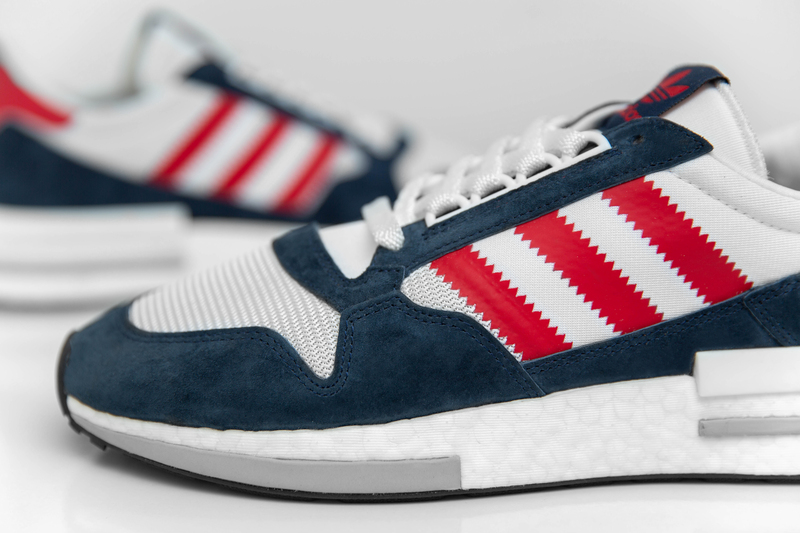 exclusive release, the latest iteration arrives in a ‘Navy/Red/White’ colour palette that borrows from classic adidas Originals releases of years gone by. 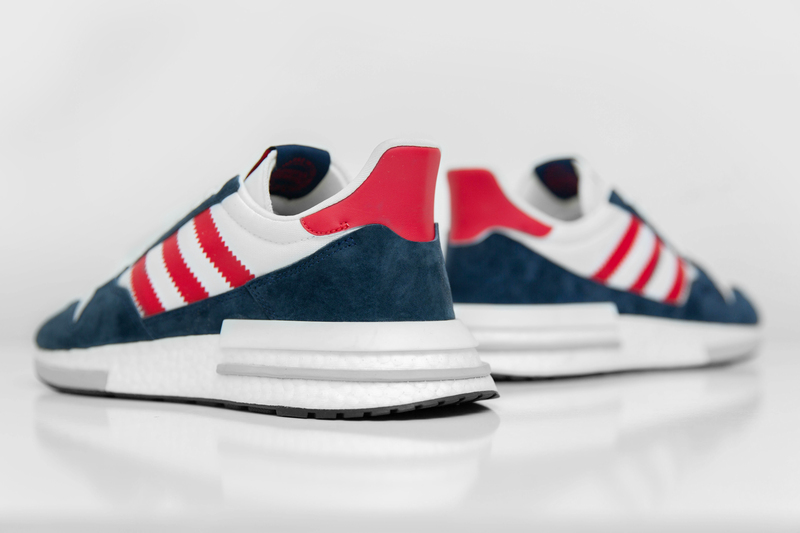 Constructed from mesh and premium suede, the latest rendition uses white as a base colour, with classic red Three Stripes detailing on the sidewall and heel, with accents of navy found on the upper, tongue branding, toe box. The size? 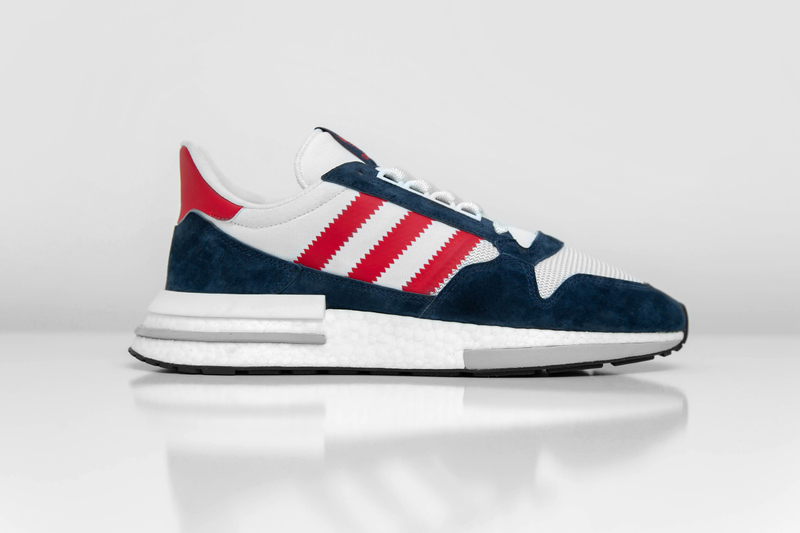 Exclusive adidas Originals ZX500 BOOST ‘Navy/Red/White’ will be available via the size? previews app and in all size? stores on Monday 1st October, priced at £125. Take a look at our latest adidas Originals Archive release, the Gazelle Indoor ‘Indigo’.